What is a Sitemap? let’s Discuss, Sitemaps is an XML file which only has the full list of all your individual webpage URL’S. Functions as an archive for your website, It helps search engine crawlers easily follow all the links on your website. 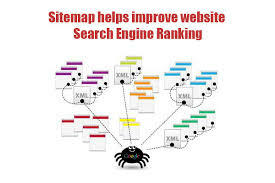 Website sitemaps provide navigation to search engine crawlers for all the links on your website and giving crawlers easy access to the website the webpage ranks higher. To Create a website sitemap for WordPress users they can download the Google XML Sitemaps plugin which makes it easier. You can generate an XML sitemap by just activating it.